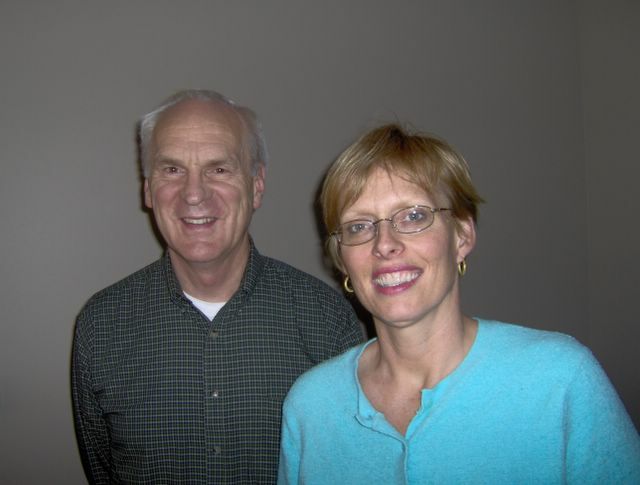 A two-day prayer workshop featuring BMH Books authors Tammy Schultz and Roger Peugh (pictured) is being held at Grace Community Church on Old National Pike in Frederick, Maryland, (R. Greene, pastor) tonight and tomorrow. Tammy Schultz, Ph.D., is the Department Chair for the Graduate School in Counseling & Interpersonal Relations at Grace College. Tammy has taught for 10 years. Prior to teaching at Grace College she counseled full-time at Winnipeg Christian Counseling Group and part-time at Providence Seminary in Canada. Roger Peugh is Associate Professor of World Mission at Grace Theological Seminary since 1989. He was Chaplain at Grace Schools 1991-1998. Prior to that he served for 20 years in church planting in Germany. Pastoral counseling has been a significant and regular part of his ministry. For more than 12 years he has been teaching a course at Grace called “Principles and Practice of Prayer.” He is currently pursuing his doctoral studies. Schultz and Peugh’s recently-published book, Transformed in His Presence: The Need for Prayer in Counseling (ISBN No. 0884693007) is available online at www.bmhbooks.com or by calling (toll-free) 1-800-348-2756. For information on the Frederick seminar call the church at (301) 473-4337 or log onto www.gbcfred.org.